Please sign our petition. 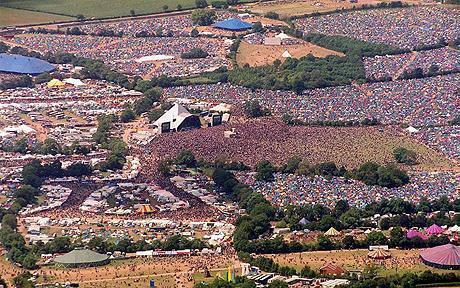 No to Fracking under the festival site and across Somerset. 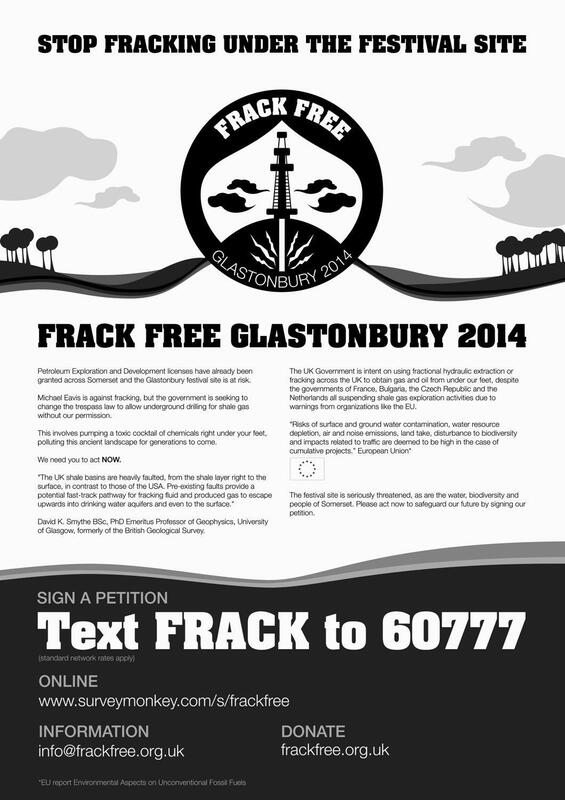 It takes 30 seconds to sign: www.frackfree.org.uk Petroleum Exploration and Development licenses have already been granted across Somerset and the Glastonbury festival site is at risk. Michael Eavis is against fracking, but the government is seeking to change the trespass law to allow underground drilling for shale gas without our permission. This involves pumping a toxic cocktail of chemicals right under our feet, polluting this ancient landscape for generations to come. We need you to act NOW. Please sign this petition www.frackfree.org.uk "The UK shale basins are heavily faulted, from the shale layer right to the surface, in contrast to those of the USA. Pre-existing faults provide a potential fast-track pathway for fracking fluid and produced gas to escape upwards into drinking water aquifers and even to the surface." David K. Smythe BSc, PhD Emeritus Professor of Geophysics, University of Glasgow, formerly of the British Geological Survey. The UK Government is intent on using fractional hydraulic extraction or fracking across the UK to obtain gas and oil from under our feet, despite the governments of France, Bulgaria, the Czech Republic and the Netherlands all suspending shale gas exploration activities due to warnings from organizations like the EU. “Risks of surface and ground water contamination, water resource depletion, air and noise emissions, land take, disturbance to biodiversity and impacts related to traffic are deemed to be high in the case of cumulative projects.” European Union* The festival site is seriously threatened, as are the water, biodiversity and people of Somerset. Please act now to safeguard our future by signing our petition. Thank you for reading this. If the situation concerns you please forward this onto friends who will help. "People need to understand that once a fracking Gas rig sets up next to your house, you can't sell your property, cancer and leukaemia rates sky rocket and your water supply can become polluted with chemicals and methane. The government is pushing this through at a breakneck speed. If we don't stop them, Somersets aquifers and those under the isle of Avalon could be trashed for generations."